Choosing a liberal arts college for its reputation of offering strong academics is a great reason, and selecting a liberal arts college with the best return on investment makes that choice even better. There are many reasons students enroll in liberal arts colleges. Liberal arts colleges offer a well rounded education, and many liberal arts colleges boast a strong return on investment. In fact, according to payscale.com, the best 30 year average net return on investment in the United States belongs to a liberal arts college–Harvey Mudd College. Trademarks of the liberal arts college are small class size, and schools themselves tend to be small, most falling under or just at 2,000 students. One of the best reasons to choose a liberal arts college is that the majority of them are focused primarily on providing a strong undergraduate education. Many of the best liberal arts colleges in the world don't even offer graduate programs. This makes them the perfect choice for students seeking an interdisciplinary approach, intimate setting, and a college where they know the professors' primary reason for being there is to provide undergraduates with a strong education. Below is our list of the top ranked 25 liberal arts colleges in the United States. Colleges were included in the list based on their ranking among liberal arts colleges by U.S. News and World Report. Because we are focused on value, our list is ranked from highest to lowest 30 year net return on investment as listed by Payscale.com. This will provide students the basic information necessary to evaluate liberal arts colleges according to earning potential. Considered one of the top liberal arts colleges in the country throughout its rich history, Wellesley maintains high academic standards to this day. Wellesley was one of the original Seven Sisters Colleges–all but one of which are still women's colleges to this day. The school boasts one of the fifty largest endowments in higher education. A member of the tri-college consortium, Bryn Mawr is one of four schools originally founded by Quakers. These schools are Bryn Mawr College, Swarthmore College, Haverford College, and the University of Pennsylvania. Students at the colleges may cross register, and UPenn allows students to cross register for general education and business classes. Davidson College is loosely affiliated in a traditional capacity with the Presbyterian Church of the United States of America. This loose affiliation does not mean the school is aligned with any particular religion, as it prefers to serve all humanity regardless of religion. Students should expect an academically rigorous education. Newsweek ranked Davidson the 3rd most rigorous school in the United States for 2012, a ranking in which the school takes much pride. Grinnell College is a small liberal arts college, with just over 1,500 students. The school places an emphasis on both rigorous academic education, and social responsibility. The school is one of the wealthiest schools in the country, with an endowment larger than most massive research institutions. This allows the school to accept students from a wide variety of economic backgrounds., making the school one of the most economically diverse in the United States. While the school's emphasis is primarily on undergraduate education, Bowdoin does entertain some post-doctoral students and visiting scholars. This doesn't, however, take anything away from the stellar education offered to the undergraduate students. The school was founded in 1794 and boasts some famous alumni, including President Franklin Pierce and Nathaniel Hawthorne. This private liberal arts college is one of the few women's colleges left. The school is part of the Five College Consortium, which is a collection of colleges students of Smith may attend if they wish. 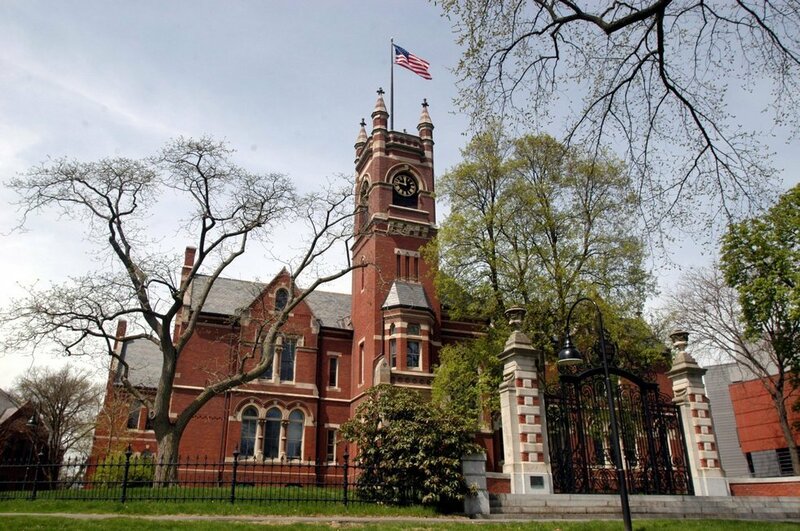 In addition to Smith, these colleges include: Amherst College, The University of Massachusetts-Amherst, Hampshire College, and Mount Holyoke College. Located in the small town of Oberlin Ohio, Oberlin College has a rich history. The school was one of the first in the nation to admit both black and female students, regularly admitting black students as early as 1835. The first black student graduated in 1844 and also became the first African American lawyer accepted by the New York State Bar. Oberlin also boasts the oldest conservatory in the United States, which is to this day considered one of the most prestigious in the world. While Colby College offers only undergraduate programs, it has a strong track record regarding graduate school placement. This makes the school ideal for students seeking a focused undergraduate education that will transition well into a top rung graduate school when the time comes. Originally a Baptist school, the University of Richmond is now a non-sectarian liberal arts university. Distinguishing itself from many liberal arts schools, the University of Richmond has a dedicated business school and a school of leadership. In addition to its 4,361 student undergraduate enrollment, the school also serves nearly 1,000 graduate students through its MBA and Law School programs–the only two graduate programs offered by the University of Richmond. Middlebury College was founded in 1800, making it one of the oldest liberal arts colleges in the United States. The school has a history of progressive thought, and in 1823 graduated the first African American graduate of any college in the history of the United States. Continuing in this tradition, in 1899 Valedictorian Mary Annette Anderson became the first African American woman to be elected to Phi Beta Kappa, still to this day considered the nation's most prestigious honors society. Middlebury offers strong undergraduate liberal arts programs, and is, as many liberal arts colleges, exclusively an undergraduate school. Pomona College is the oldest of the five liberal arts colleges in Claremont, and the founding member of Claremont Colleges, an organization whose purpose is to facilitate partnerships and events between the small concentration of colleges in the town. The school is small, and provides an intimate setting where undergraduate education is the only focus. While its primary focus at the undergraduate level is providing students a strong liberal arts education, what makes WU unique is that its graduate and Ph.D. programs emphasize science and mathematics. The school is one of the Little Three colleges, which consist of Wesleyan University, Williams College, and Amherst College. The Little Three is a small, unofficial athletic conference formed by the three schools which compete against each other in various sports. Though the school boasts just around 2,000 undergraduate students, it has a large international population with 90 countries represented in its enrollment. The school is considered one of the best schools in the United States for undergraduate teaching. Diversity of experience is an important part of education at Macalester, and so the school provides students with a strong study abroad program that has a participation rate of about 60%. Bates College was one of the first colleges in the United States that was established as a co-educational school, admitting both women and men. The school is also the oldest co-educational school in New England. As most liberal arts colleges, Bates offers only undergraduate programs, preferring to provide students a well rounded, rigorous, uncompromising education at the undergraduate level. Carleton College is focused on providing the best available undergraduate education. The school consists only of undergraduate programs, and is ranked #1 by U.S. News and World Report for Undergraduate Teaching among National Liberal Arts Colleges. This distinction is especially meaningful because liberal arts colleges traditionally focus primarily on undergraduate teaching, and many have no graduate programs at all. This Roman Catholic liberal arts university adheres to the Jesuit academic and spiritual tradition. In addition to receiving a top notch education, which is one of many things for which the Jesuit tradition is known, students are also encouraged toward service. The Jesuit tradition encourages students to take up advocacy for social justice, particularly the world's poor and disenfranchised. Founded by Baptists in the early 19th century, Colgate has gone through many transformations, but one thing that hasn't changed is the school's commitment to quality education. While the school is non-sectarian, it recognizes the importance of religion in many of its students' lives, and fully supports on campus religious (or non-religious) life organizations for students of various faiths. The school actively encourages students to integrate their learning with the spiritual and ethical beliefs of their faith. This makes the school a fantastic choice for students devout in any faith, as most non-sectarian schools go to great lengths to ignore the religion of their students, whereas Colgate seeks to provide students with all possible support. Amherst College was originally an attempt to relocate Williams College and nearly two hundred years later, Amherst and Williams College are ranked #1 and #2 among liberal arts colleges, which is indicative of their close ties, and the devotion of each to providing high quality education. The school is exclusively undergraduate, making it a prime choice for students seeking a focused, attentive setting. Unlike larger research universities, the faculty is there exclusively to give undergraduate students their undivided attention. Hamilton College was named by its founder, Samuel Kirkland, after Alexander Hamilton, the first Secretary of the Treasury of the United States, who also sat on the school's board. 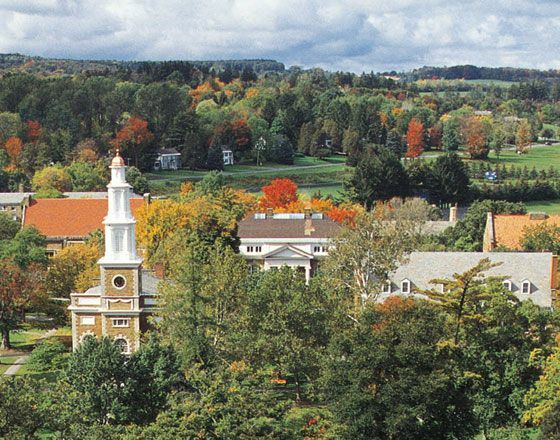 Long recognized for its distinguished academic tradition, Hamilton College is considered to be one of the "little ivies", an unofficial title bestowed upon a select few small, selective, high quality liberal arts colleges. The second oldest school in Virginia and the ninth oldest in the United States, Washington and Lee University was founded by Presbyterian pioneers, and was supported in its early years by one of its namesakes, George Washington. The other namesake, confederate General Robert E. Lee, served as the school's president after the Civil War until his death, at which point the name was changed to honor him as well. Students may study at one of the three schools within the university. The College for a general curriculum; The Williams School of Commerce, Economics, and Politics; or the School of Law. Swarthmore is a member of the tri-college consortium along with Haverford College and Bryn Mawr. Like its fellows in the consortium, students may cross register at the other colleges, and Swarthmore has a cross-registration agreement with the University of Pennsylvania, which shares the school's quaker heritage. 90% of students graduating from Swarthmore pursue graduate school. Originally founded as a quaker school, Haverford College has no formal ties to any religion, though it is still greatly influenced by the spirit of the philosophy of its founders, particularly when it comes to education. The school is undergraduate only, meaning undergraduate students never have to compete with graduate students for attention. The school has a strong relationship with surrounding colleges and universities, particularly the University of Pennsylvania, where students of Haverford may cross-register in either general studies or Wharton Business School classes. Williams College is widely considered to be the best liberal arts college in the United States. U.S. News ranked the school at #1 among liberal arts colleges for 2013, and in 2010 and 2011 Forbes ranked the school #1 in the United States, ahead even of the Ivy League universities. Even for 2013, Forbes ranked the school #9 in the nation, the change likely because of a change in their methodology, not the quality of the school, the reputation of which has remained high since its founding in the 1790s. 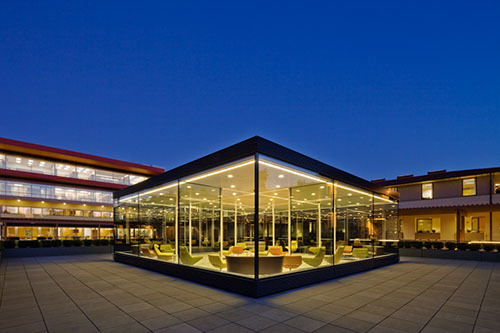 Claremont McKenna is one of five undergraduate liberal arts universities located in Claremont, California (along with two graduate universities) that make up the "Claremont Colleges." The area, being saturated with high quality schools that work in cooperation with each other, is proud of its academic culture. The town is located outside the city of Los Angeles and three of the five liberal arts institutions are on this list, including Claremont McKenna here at #2, and Harvey Mudd sitting a #1. Harvey Mudd has the highest 30 year average net return on investment of any college in the United States according to payscale. The college is just as unique as this fact indicates, as liberal arts colleges typically do not boast such a high ROI. One of the primary reasons for the high ROI at Harvey Mudd is because while it is a liberal arts college, its primary focus is on engineering, mathematics, and the sciences. The school seeks to train up leaders in these high paying fields by using a comprehensive liberal arts core to instill in students an understanding of how these fields and their role in them have an influence on modern society. Basing your decision about your higher education solely on the notoriety of the school and the name it holds is not always the wisest way to plan for your future. There are many great smaller and lesser-known colleges that offer an excellent education at a more affordable rate, especially when you take ROI into account. The schools we've detailed on this list represent the top 25 choices for an affordable liberal arts college with the best return on investment.